Every new parking lot paving job begins with an important, consumer-centric decision to use your budget to improve the experience visitors have when visiting your establishment. There are dozens of studies that suggest improvements to the outward appearance of a business can directly increase walk-ins and sales. First, you need to determine your budget. Ask yourself: will I have enough money to meet the bottom line on other obligations? Am I certain that this money is currently worth the investment for my company? These are important questions to ask before you take any more involved steps. Nearly every paving company, including Ohio Paving & Construction, will offer free evaluations of your property and/or parking lot to determine the best course of action to meet your needs. Once you have a general idea of what you’re looking for, look over a few company websites to be sure that the paving company you’re looking at offers the services you’re looking for. Some paving companies solely work on commercial properties, for example, while others may only do public works projects or can only offer asphalt sealcoating. When it’s unclear, don’t hesitate to call the company office and ask what services they offer. This saves everyone the hassle of returning your contact request to simply say “no,” and perhaps that company can direct you towards a different company in their network that can help you. After finding a few companies that offer the array of suitable services you might need, simply fill out the form on the paving company’s website, send them an email, or call their office directly. 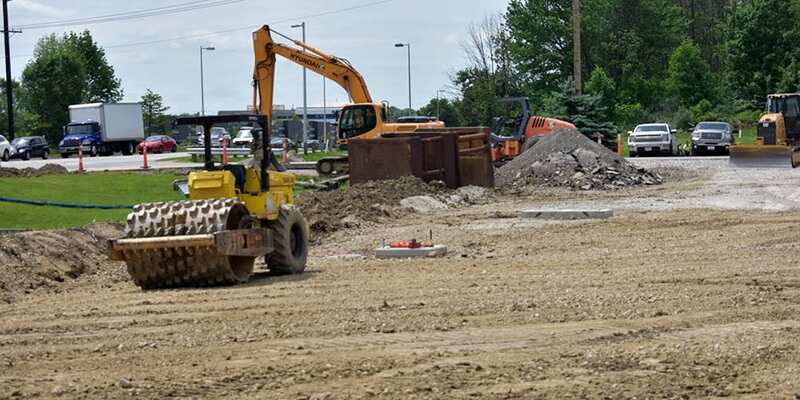 Be sure to make clear the dates and times that you are looking for the site work to be started and completed, as well as any times that excessive noise may pose an issue for you or your business. A crystal clear line of communication concerning your needs puts you and your paving company on the same page from start to finish. Another part of the process customers suggest is to dig up some information about each company’s past clients! Many paving companies will be happy to show off glowing testimonials, but if you ask about the three or four last paving jobs they completed, you then have the opportunity to see and visit the work for yourself. Some people even take it upon themselves to call that establishment and ask about their experience with the responsible paving company. It never hurts to be thorough. To visualize the process of requesting paving work, you must break down the concept by the kind of work you’ve requested. 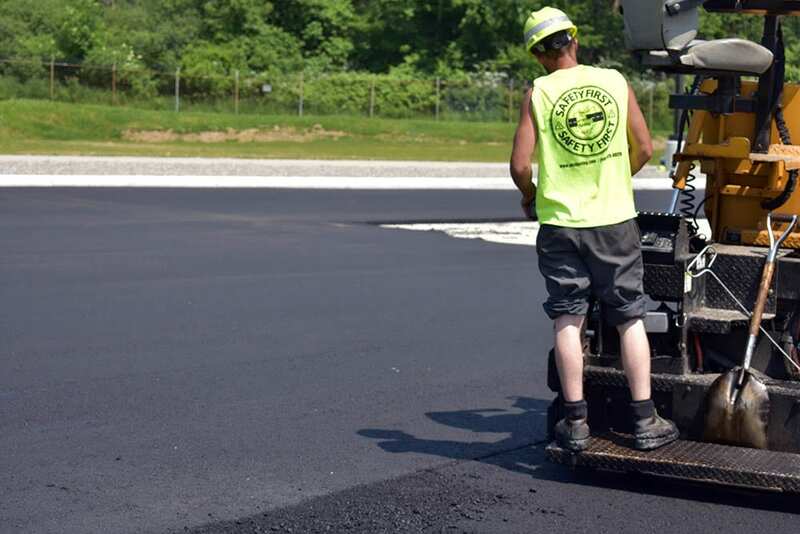 In general, there are four distinct categories that asphalt and concrete paving work falls into, requiring different approaches, machinery, and levels of crew involvement. Having a new parking lot built from scratch ranges anywhere from $10,000 to $1,000,000 depending on the desired number of parking spaces and the weight class of vehicles you expect to regularly visit your property. A small convenience store, for instance, can expect mostly lightweight traffic at a moderate pace, and therefore is looking at costs on the lower end of that range, while a corporate parking lot expansion will be more likely to deliver that $1,000,000 invoice. Of course, you can’t simply rush in and build a new parking lot. In a concerted effort with site surveyors and engineers, your project must have a detailed blueprint of your parking lot developed outlining the exact measurements and angles necessary to meet structural needs for transportation and policy needs to meet internal and state regulatory requirements. 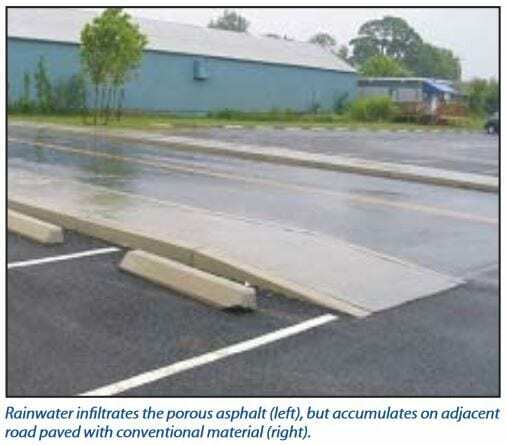 Asphalt or concrete thickness may vary throughout the parking lot based on the expected traffic for the area. For instance, the offloading area for delivery trucks at a large department store will need very thick asphalt to support them as opposed to general parking area. Because water buildup can be so detrimental to a parking lot, one of the most crucial aspects of a parking lot blueprint is a detailed outline of sloping throughout the lot. These angles will be used to guide moisture to the nearest catch basin, keeping your parking dry to reduce the risk of cracking and pothole development. Parking spaces must also be consistent to maximize the number of visitors for your establishment. The average parking space is measured out to around 9′ wide and 18′ long, and is angled at 45°, 60°, or 90°. The angle of a parking space is determined using a number of factors, including the direction of traffic flow and the expected average visit time of a customer. Other safety and accessibility features must be accounted for in the layout as well, such as Americans With Disabilities Act (ADA) eligible parking spaces, tactile paving pads for the visually impaired, security and decorative bollards, and sign posts for both drivers and pedestrians. Companies like Ohio Paving & Construction, and other parking lot design firms, will know what is legally required for your state. Engineers will also be happy to integrate any specific ideas you have to enhance the visual appeal of your parking lot. Construction begins with the demolition of any old pavement. Usually using a machine known as a jaw crusher, the deteriorating asphalt or concrete is crushed and loaded into large dump trucks or front loaders by excavators. Whether there was pavement in the area previously or not, other debris and obstacles including trees are removed and the earth is smoothed. Underlying dirt is also evaluated by means of percolation to ensure that moisture will properly absorb, reducing the risk of pothole development and base failure in coming years. Once the sub grade is approved, the sub base is laid. 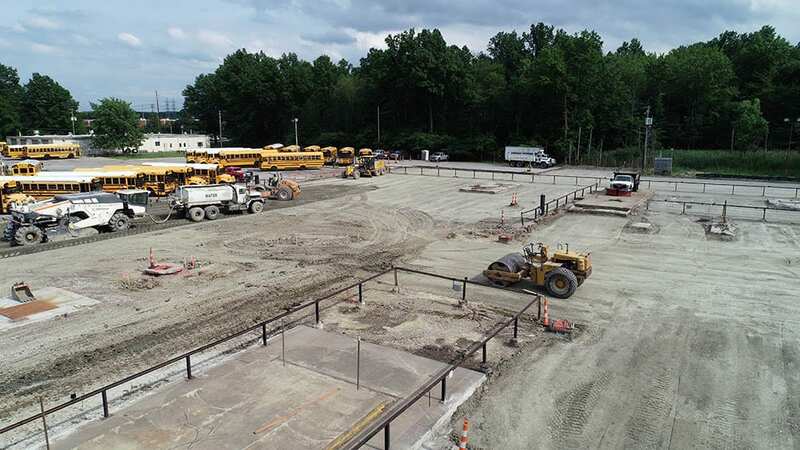 This bottom layer of a new parking lot is vital in distributing the weight of oncoming traffic, and consists of gravel, recycled pavement, or crushed aggregate. A properly laid sub base with the right amount of compaction will vastly outlive the surface layer of a parking lot, and will be used throughout numerous resurfacings in the future of the pavement. Once weak areas are identified and repaired, the crew moves on to what will finally begin looking like a parking lot. Next, the base course is laid, which is a layer of asphalt or concrete that is generally at least 2″ in depth, and uses a larger aggregate than the sub base to act as additional support for the surface layer, which is laid last, running down from hoppers in machines and manually raked or scraped into place. The surface layer of a pavement consists of the most fine aggregate and tends to be more aesthetically appealing, but will take the most damage out of any section of the parking lot. That’s why regular maintenance and preventative measures are important- it’s far more expensive to lay down new asphalt or concrete than it is to regularly fill cracks and potholes throughout the season. Most customers call concerning a parking lot or driveway they already have, but has suffered extensive damage and needs repaved. There are two ways to address this issue. The first is a pavement resurfacing. A resurfacing is simply a process where an additional layer of asphalt or concrete is laid over the existing surface, which may have suffered from years of oxidation, causing cracking and the development of potholes. A resurfacing is the optimal way to go if your parking lot has not already been resurfaced more than once and an increased elevation on your parking lot will not negatively impact your property or other existing infrastructure. If a resurfacing has not been deemed the best solution, your paving company will likely recommend your parking lot for a milling and paving job. This is a two part process; first, a milling machine will lift, crush, and remove all asphalt or concrete serving as the surface layer of your parking lot. These millings will be then removed and discarded, or recycled to function as part of the new asphalt layer which is then laid over the milled surface. Once this is finished, you have a brand new surface layer with a brand new lifespan, essentially giving you a brand new parking lot. Parking lot repairs are a necessary way to keep your maintenance costs low over time. Sealing cracks and repairing potholes as soon as they form keeps them from getting worse, which risks deeper layers of pavement accruing damage rather than just the surface layer. When a pothole starts causing damage deep into the surface of the pavement, your asphalt paving contractor will need to mill your surface down to the problem area and build the parking lot from the subgrade, up. That gets expensive. 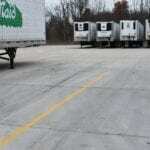 One way to reduce oxidation on your parking lot is to regularly sealcoat the surface. Sealcoating is the practice of applying a tar-based mixture to the surface of asphalt that basically works as a sealant on the surface. It has a number of benefits; it’s resistant to moisture (therefore protecting your asphalt), it adds friction to the pavement (making driving easier), and it adds a beautiful black sheen to your asphalt parking lot. Regular line striping is important, too. Keeping the flow of traffic clear and visible keeps your customers and pedestrians safe, and makes your establishment look better than every other that neglects their line striping responsibilities. 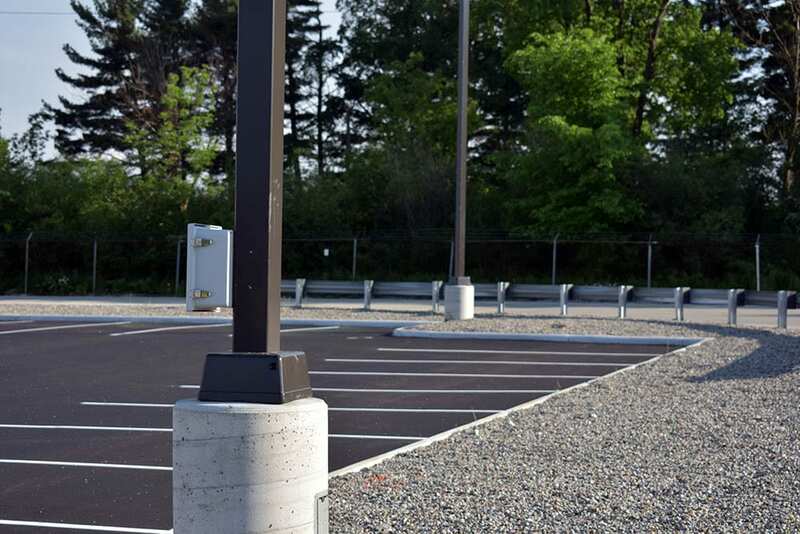 As society becomes more environmentally conscientious, paving companies are doing their part by offering more green solutions to the problems posed by traditional parking lots. Talk to your paving company about renewable energy sources for lighting, permeable pavements, pervious concrete, pollution reduction, naturalized drainage, and shading options. 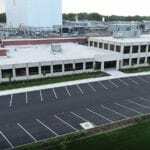 For more information, you can visit the US Environment Protection Agency’s recommended techniques for building a greener parking lot. Once your contracting company has completed everything outlined in the contract, it’s time to sit back, enjoy your increased land value, and wait for an invoice. Paving companies are generally very flexible about payment options and financing details, but will always accept cash or card. Great paving companies who offer a great customer experience from beginning to end are few and far between. When you’ve hired a great paving company, remember to keep them in mind for maintenance and repair projects on any of your other properties. Ohio Paving & Construction, and other quality paving companies, work all year long to make the paving season as easy as possible for their valued customers.